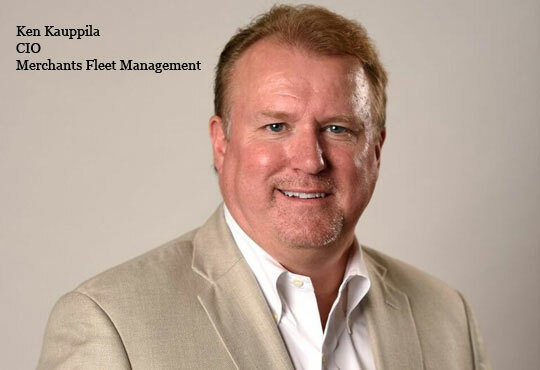 IT’s new role, at Merchants Fleet Management, is to provide enabling technology that fuels the growth of the company. Partnering with all areas of the business, executive, and ownership, IT has moved from a passive, backroom function to a proactive force, a business partner, and a strategic enabler. The first step taken when I joined Merchants was to conduct a “100 Day Plan” that focused on five major areas of the technology environment, provided a deep analysis and the condition of each, and recommendations for improvement. This “100 Day Plan” ultimately resulted in a proposed “IT Strategy” that included the new IT organization, the gaps we had, the talent required to fill these gaps, best practice process, technology advances we would take, proposed projects, costs, and time tables that would be exercised in order to move IT from this passive, backroom function to a valued, strategic enabler of the company and a major part of its long term strategy. The next step in the IT transformation process was to go out and get the top talent in the IT industry. We did just that through aggressive networking, recruiting, and opening a Midwest Technology Center, in one of the hottest up and coming technology areas of the country. This allowed us to add top talent to our already talented team, which opened us up for the ability to participate with our business teams at a high level. Equipped with the right team on the field, our ability to plan and execute provided an important dimension for executing our company strategy. Another step, in parallel to the others listed, was to establish trusted relationships with our business teams, executive team, and ownership. The ability to provide “IT Transparency” and show how IT allocations were being consumed by the company were critical areas of focus that helped to drive a shared understanding of what we had from an IT perspective, how our resources were allocated, where our gaps were, what we needed organizationally to fill these gaps, and the costs and time tables for when we would have step change improvement and realization of ROI on the IT function. Driving accountability through all levels of the IT organization and changing the attitude, approach, and sense of urgency were base building blocks that were put in place to start the transformation. The number of successful projects that have been completed over the past two and a half years is in the triple digits, which has led to a total transformation of the IT role. A few of the major initiatives that have been executed to fulfill our IT strategy at Merchants include the development of our TotalView Fleet Management Solution in close partnership with our Strategic Consulting Team. This industry game changing technology provides actionable data and analytics delivered through easy to use dashboards and reporting, providing the ability to manage total cost of ownership for fleet managers. Another strategic focus is our “Information Strategy” where we have put real “data science” into establishing great information and analytics for our customers, suppliers, and employees from thousands of input data sources and source systems. A third area of focus includes our “Connected Enterprise” strategy that securely delivers our great applications, such as TotalView, and our great data and analytics, to the influencers and decision makers, to any device, whether they are at work, home, or on the go. 1. Be selective. Work for good people at good companies. IT is a seller’s market and will be for years to come. Find a company that values people and technology – not just through lip service. 2. Understand your Role. Understand your and IT’s role in the organization. Work to establish IT as an effective Business partner to enable at every level. 3. IT is complex. Realize and master bridging the right brain, left brain gap. Be an effective communicator of the complexity of IT in a business focused, consumable, and understandable form. 4. Be competitive to the market. Setup your IT team to compete simultaneously on the competitive dimensions of “cycle time to market” and “quality”. Drive efficiency both in front of and behind the curtain. Strive for this and when you achieve, you are world class. 5. Listen. Be curious. Never stop learning or being interested – in technology or your industry. 6. Focus on results. Plan and execute. Don’t be a “rara” CIO with no track record of results. Results speak very loud and are recognized by the good companies. 7. Hire great, talented people with a sense of urgency. Give them great work, admire what they do, give them constructive feedback, professionally challenge them, allow them to challenge you, teach them, and show them how much they make a difference to the levers (revenue, cost management, intangibles) that drive the success of the business… and never settle for mediocrity.